BI xPress is an SSIS and SSAS tool that integrates directly into Visual Studio for developers, and has a launcher application for DBAs who prefer to not work in BIDS. It allows you to quickly build packages, install robust auditing frameworks, and helps DBAs deploy packages. Additionally, BI xPress offers an easy way to add rich auditing features in SSIS packages using custom auditing framework developed by Pragmatic Works. 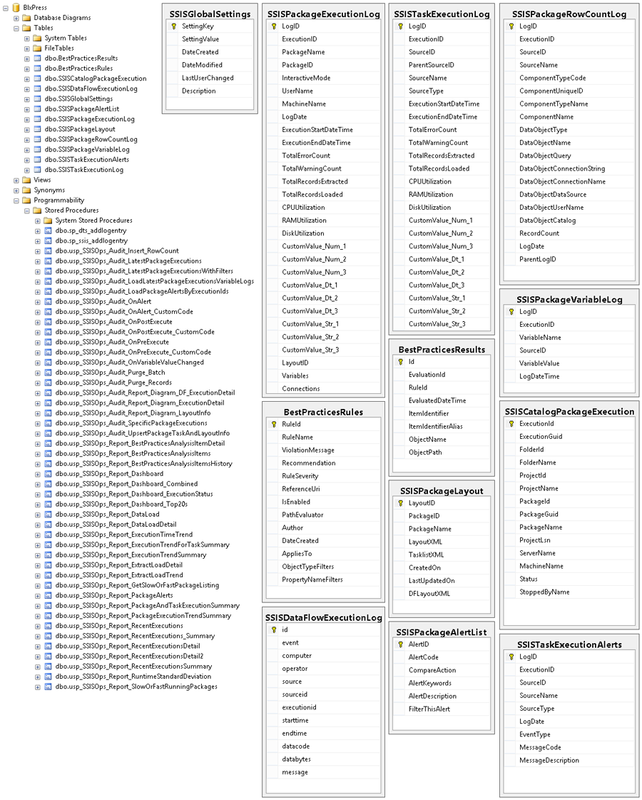 This Auditing Framework uses all Native SSIS features and it can track packages in real-time. Auditing Framework comes with lots of predefined reports which can give you some valuable information. • Extracted and loaded records along with their source and target information (e.g. Table/View, SQL Query, File Name, Component Name, Data Flow Name, Connection String etc.). Starting with version 2015.3.7, the BI xPress database employs versioned views and stored procedures when interacting with the repository. Our current patterns aim to make upgrading to the newest version of BI xPress simple. Multiple users can access the BI xPress database using different versions of BI xPress as long as they're all 2015.3.7 and later. If any required objects are missing, the database can be updated without impacting the other users.